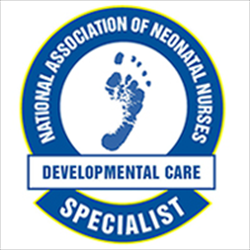 The National Association of Neonatal Nurses (NANN) recognizes the importance of developmental care to optimal patient care. 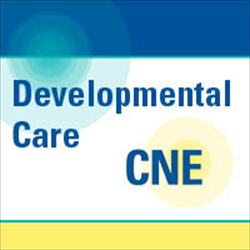 This position has led to the creation of a developmental care initiative aimed at providing the neonatal community with several educational and professional developmental tools. The Neonatal Developmental Care Specialist designation is one of these. The Neonatal Developmental Care Specialist Designation (intended for all neonatal healthcare professionals, including, but not limited to, nurses and therapists) offers clinicians with developmental care experience an opportunity to apply and assess their knowledge through the completion of a 100-item test. Designation Purpose: The purpose of the Designation is to promote excellence by acknowledging healthcare practitioners who have acquired a body of knowledge and expertise in the field of Developmental Care. Questions for the Designation exam are derived from the Developmental Care of Newborns & Infants, 2nd Edition book. The test includes both cognitive assessment questions and scenario-based cases. The test can be accessed by logging in to "My Account" and is located under the "My Classroom" tab. Upon Achieving a Passing Exam Score: A Neonatal Developmental Care Specialist Designation certifcate and letter are awarded. An 80%+ must be obtained in order to pass the exam. Any score less than 80% will not be considered passing. Please Note: If an 80%+ is not obtained, you must repurchase and retake the Designation exam. Therefore, NANN highly recommends allowing ample preparation/study time prior to taking the Designation exam. Designation Length: The specialist designation is valid for 2 years from the date of completion. NANN members save $30.00 USD or more!